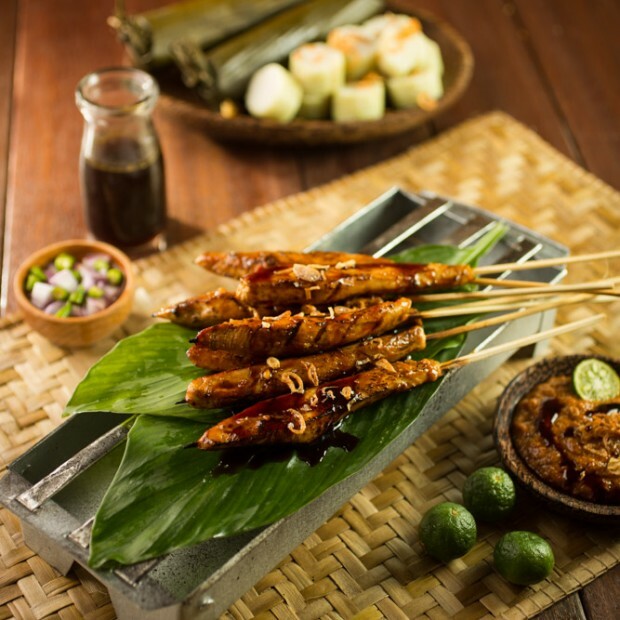 Indonesian food recipes next is typical Indonesian cuisine of meat is very tasty when eaten with sweet soy sauce. 1. Marinate the chicken with the marinade. Let stand for at least 30 minutes. 2. Prick chicken skewers marinated using satai. Dip the skewers for dipping condiments. 3. Grill over the coals until done. Lift. 4. Spices beans: bean puree, red chilli curls, and hazelnut. In a small saucepan put some water, salt, brown sugar, and spices. Cook until cooked and thickened. 5. Serve watered satay peanut sauce and sprinkled with fried shallots. If you prefer, serve with rice cake accompanied.